Like I said, it is subjective. Some people prefer the real hardware, since it is indisputably the authentic sound. Ripping from emulation can be cleaner and easier, but it will ultimately always be flawed in some way compared to the real thing. I grew up playing Game Boy with headphones, so I'm accustomed to and prefer the real thing. I started this project mainly for myself, so I'm going to keep doing it as long as I have the time and interest. If people want emulated rips, they can easily find them elsewhere. and the Nostalgia Factor for me growing up in the 90's with my Gameboy is through the Roof. Please don't stop, you're doing the Lord's Work. I am sure People have requested a lot of Stuff so it's kinda pointless but i'll throw one in anyway. but then basically everything by Konami/Palcom is. actually i have the same stuff that you have Shugo Takahashi. & often i am connecting my GB to my Hi-Fi to enjoy musics done by its soundchip. Batman, Belmont's Revenge, Solar Striker, Operation C, ZAS, Mariolands & more. also often i mind "i should rip it" but as i never took the time to setup my PC line-in, i never do. maybe i'll do & if i do i will contact you first . cheers for a good thread & keep up the good GB musics recording. Yeah man, go for it. We could always use more hardware rippers. Your situation is pretty much exactly how I started doing it; I listened to it directly from the DMG all the time and then decided one day to just rip it. If you want to collaborate in any way, I'd be all for it. This is great, recording this way has a different sound than emulators. The idea reminds me of the Pokemon HG/SS soundtrack, I think it included the original music recorded directly from a gameboy. It sounds like they stuck a microphone to the gameboy speaker on a recording studio? Or maybe it was emulated and they just added some reverb. Last edited by cornr; 07-02-2016 at 01:27 PM. I think the Pokemon HG/SS soundtrack included the original music, recorded directly from a gameboy; it sounds like they stuck a microphone to the gameboy speaker on a recording studio? Maybe they just added some reverb. Actually the HGSS "GB" versions are from a DS. In the game itself you can unlock an item that changes the in-game soundtrack over to the GB version, but it's a very inaccurate recreation. That's what they put on the official soundtrack rather than the actual GSC GB soundtrack, which to this day has never been officially released. Shugo, i tried to catch your spirit & form for my post. i proudly present my first DMG Sound job. & actually after a re-listen of my old .gbs rip, i can say that it's incomparable with the true sound !!! just trashed my old rip. one of my first GB game, i found some similarities with Marioland in their era. both are great plateformers with little sprites & also alternative shmup stages. one of my favourite game on the GameBoy. Sounds good! I suggest you make your own thread for it, though. It'll get more notice that way, and you'll get your own credit for it rather than just being a post buried in my thread. I could add it to my OP, but then you wouldn't be the one getting the +rep for your rips. If you've never heard of this game before, there's a good reason why: It was never released. Planned for a 2001 release by Affinix Software, it never found a publisher (due to the GBA being the new big handheld on the block) and sank into the depths of time. I was contacted by someone late last year, though, with a copy of the near-finished game's internal sound data. In light of the sudden and welcome [Hidden link. Register to see links. ], I've gotten around to finishing up my DMG rip of its soundtrack. Not sure if the data I have is the actual final soundtrack, but it's pretty damn good. Last edited by Shugo Takahashi; 09-08-2016 at 01:57 AM. Interesting story, Shugo, definitely have to check out that game. Music sounds AMAZING, and the rip work is fantastic as usual! Keep it up, and thanks again for the other amazing rips! Sounds good. If Star Fox 2 is anything to go by, this unreleased soundtrack's gonna blow my mind. This is my first time hearing of Infinity, and with a soundtrack like this I look forward to playing the ROM they have available. It's great they revived a project like this! One question, though: shouldn't the artist be Eric E. Hache? Oh, awesome to see you finished the RBY/GSC soundtracks too! Last edited by Sherkel; 08-27-2016 at 09:58 AM. One question, though: shouldn't the artist be Eric E. Hache? I tagged him as composer since it was apparently Mathew Valente who actually engineered the GBC version of the music (which is also how I tagged the Pokémon soundtracks since we know both composer and sound engineer roles for those songs thanks to the official soundtracks). But I dunno, now that you mention it they do seem to credit Hache as the primary artist on the official sites. Maybe I should change it. Also thanks, it took me a while to finish the Pokémon ones. I still have to finish GSC stereo, though. Thanks a lot for taking up on my request for the Infinity soundtrack! Today they released the [Hidden link. Register to see links. ], but it's so cool to have this option as well (I believe they used a modified DMG). Again, thank you! Not sure why this post never showed up in my inbox... But I just learned of their official soundtrack release today via Mathew Valente's YouTube channel. I bought it, of course, and I urge everyone else to do the same. The official release was actually done with the PlayGuy GBC emulator, which is a very odd choice, in my opinion, since that emulator was last updated in 2003. We have much better options these days like BGB or Gambatte. As such, their release does sound rather different from mine; lots of effects (particularly percussion/noise channel) sound different. However, their release does contain a few tracks mine doesn't. Not sure if they're unused tracks or just tracks that are in the final game that aren't in my old GBS rip. Oddly, my rip contains an unused beta track that isn't in the official one. I dunno! Get both! Enjoy it all! Now that the official release has given me a proper tracklist order, new titles, and a vectorized logo, I've updated my own version with all that stuff. Just use the same links in the original post. If you prefer the older, blocky cover, you can still get it [Hidden link. Register to see links.]. Last edited by Shugo Takahashi; 09-08-2016 at 02:53 AM. Do you mind if I request Kirby's Dream Land(1992) and Kirby's Dream Land 2(1995)? These really sound amazing. Thanks for taking the time to do these to such a high standard. Is it only the famous soundtracks that are requested here? Because I have a Japan Only request that I want and the soundtrack is very well done: It was composed by Toshio Okamoto. Hmm, shame that this hasn't been updated... I'm interested in this kind of ripping method, any ideas on how it's done? Is connecting the GB line-in to the PC and recording enough? Or is some other piece of hardware needed? I'd like to try eventually. What would these improvements be for the GBS2GB method? On the other, I have a Game Boy Colour still in working condition, and the 3DS version of Yellow, but the idea of playing through the entire game for music is impractical for me at the moment. Not to mention some music, such as battle music, is interrupted by cries and other sound effects. Quality. 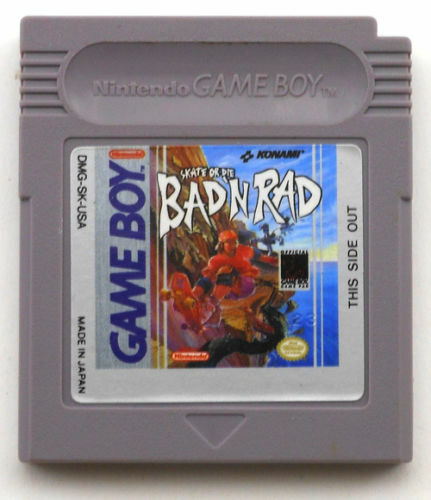 If you have a GBC flashcart then you could do it, [Hidden link. Register to see links.]. Recording right from a 3DS...I'm not sure. It is an official Nintendo system, so it might sound quite good, but I've never played and Virtual Console games on mine so I wouldn't know. Also, there would be the issue of sound effects. Is anyone interested in this too? I don't know either beyond that it's good enough for me. I didn't know about those emulation options until reading your post, and I ran a quick test for differences, but couldn't notice any...it's possible I wasn't changing them correctly, but for the sake of an example here's [Hidden link. Register to see links.] in [Hidden link. Register to see links.] and then [Hidden link. Register to see links. ], using GBS2GB and KiGB. Even with the beginnings synced up exactly I couldn't notice any difference, so beyond this the only step to further accuracy is likely using the original hardware. Very interesting, I was about to perform the same test when I had the time. Yeah at first I couldn't tell the difference either, but I took those samples you provided (great song btw, never heard of that game) and compared them in Audacity. I took the first channel from both so it's easier to compare. [Hidden link. Register to see links.] Up is GBC, down is GB. At the very least, it does confirm that KiGB changes the way it treats the sound depending on the emulation mode. In the first image, you can clearly see the waveforms are totally different yet the song sounds just the same in both cases. It's also surprising how the waveforms have a little delay between them (images 2 and 3), but it just seems like a effect from a different processing method rather than an inaccuracy with the sound emulation. But yeah, there is a difference. Now the next steps would be to test if this resulting audio is indeed different than your average vgmstream, GBS-direct rip, and testing if KiGB with the GB emulation mode treats sound as if it was processed by a very DMG-001 chip (just comparing one of the songs in any of Shugo's rip and one made with KiGB would be enough) or if it differs and how much. If it ends up being the same, hopefully, we strike gold and can easily do trusty DMG rips without recurring to external hardware. If not, at least let's hope the difference is not big... In any case, recording from KiGB would definitely be a thing for more accurate soundtracks. Last edited by MagnetMan34; 04-15-2017 at 03:08 PM. HOLY COW!!!! Σ(･口'･) The quality is freaking awesome!!!! Pokemon Red sounds way, WAY better than the official soundtrack. And I finally found a Pokemon Gold rip in FLAC. ^^ And Super Mario Land sounds divine  I just had to download the rest! I hope you're still active because I want to say thank you SOOOOO MUCH!!! ♥⊂(´ ❥ ` ⊂ ) Especially for the FLAC. Don't be surprised you're getting requests, since your quality is so good.